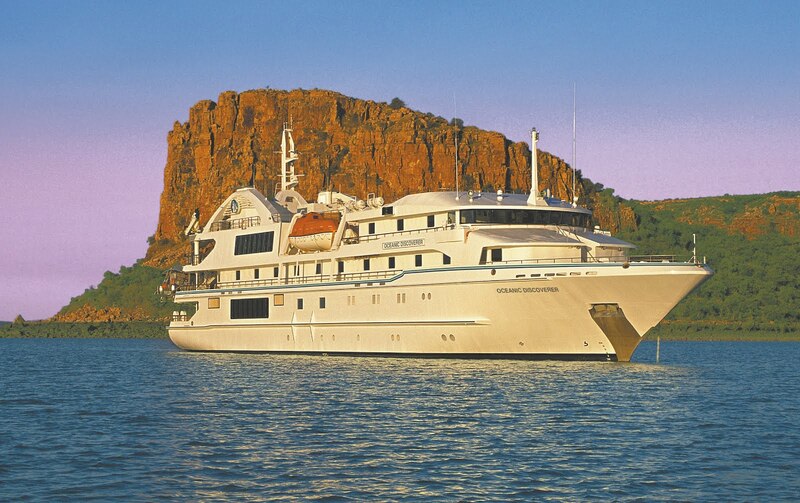 Australia's pioneer of small-ship expedition cruising Coral Princess Cruises celebrates its 30th anniversary year in 2013 and is offering 'Waterfall Season" specials of between 15 and 25 per cent off normal prices on their 10-night Kimberley Coast expeditions. The savings are valid on five April 2013 departures aboard their state-of-the-art 72 passenger small ship Oceanic Discoverer or the fully-refurbished 35-metre catamaran Coral Princess. The Kimberley wilderness of Western Australia is three times larger than England with a population of just 30 000. Coral Princess's voyages between Darwin and Broome cruise through some of the planet's oldest and most awe-inspiring scenery and landscapes. 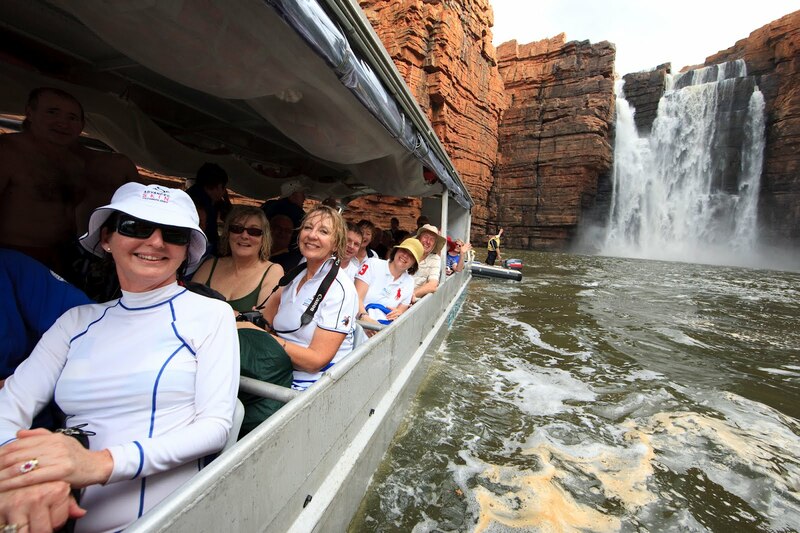 Exploring the Kimberley Coast in April, immediately following the 'wet season', affords guests the unique opportunity to experience the region's spectacular waterfalls in their full grandeur. From the towering 80-metre King George Falls, four-tiered Mitchell Falls and the iconic King Cascades to the amazing natural phenomenon of Horizontal Falls and lesser-known highlights such as swimming beneath beautiful Ruby Falls, Coral Princess's Kimberley itinerary includes all of the icons of this spectacular coast in unrivalled style and total comfort. Waterfall Season prices for the 10-night Kimberley cruise aboard Oceanic Discoverer start at $6,592.50 per person for Coral Princess Cruises past guests (25% off) and $7,471.50 for first time travellers (15% off) in a Main Deck (Category B) Stateroom. Special prices aboard Coral Princess start at $5,392.50 for past guests and $6,111.50 for first time travellers in a Cabin category room. 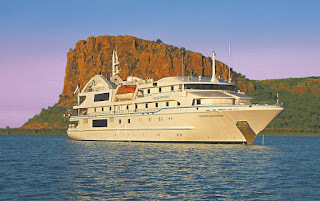 The reduced prices include all meals, lectures and services of the all-Australian expedition staff and excursions aboard a fleet of zodiacs and the unique 'Xplorer' excursion tender. The discounts apply to all new bookings on April 2013 departures and are available until 30 November 2012 or until sold out. Coral Princess Cruises pioneered small-ship expedition cruising on the Kimberley Coast in 1996 and has 34 departures scheduled across the 2013 season, which runs between April and October. As a 100% Australian-owned, flagged and staffed operation, Coral Princess guests avoid the need to transit an international port as part of their Kimberley itinerary, a guideline applying to foreign-owned and flagged operators in the region. With a minimum of two landings most days Coral Princess guests will enjoy the opportunity to see more of the Kimberley and make the most of every minute of their expedition.